In which I attend a BookExpo panel on gender balance, glean some useful information on book covers, reveal Pamela Paul to be a mendacious braggart, and get assailed as a suffocating force of patriarchy for asking a question. It became clear on Friday morning at a BookExpo America panel devoted to “Packaging, Positioning and Reviewing in the Fiction Marketplace” that all the VIDA counting and the justifiable grandstanding is getting in the way of building on heartening truths: namely, that women have gained significant (and in many cases dominant) ground as authors, as editorial tastemakers, and as reviewers in the past year. Paul picked up a recent issue of the Review and shuffled through the table of contents. “Woman, woman, woman, man, woman.” She claimed that there was nothing deliberate in these review assignments. It was a practice that the previous editor, Sam Tanenhaus, also engaged in. So is there really gender bias? Later in the panel, Paul was to correct Weiner, claiming that the Review had full editorial independence. “Not once did Jill [Abramson] or Bill [Keller] ever interfere with my editorial choices.” And while that may be true, it became clear during the conversation that Paul doesn’t really reflect on what her editorial choices mean. Still, I’ll take Weiner’s speculations — even when woefully wrong, such as the notion that men’s reading habits are limited because they are guided by cover design or that people are somehow shamed by what they read on the subway — as a more useful indicator of gender bias than Paul’s high-handed remarks. Because unlike Paul, Weiner was willing to use case examples to bookend her thorny ideological sentiments. 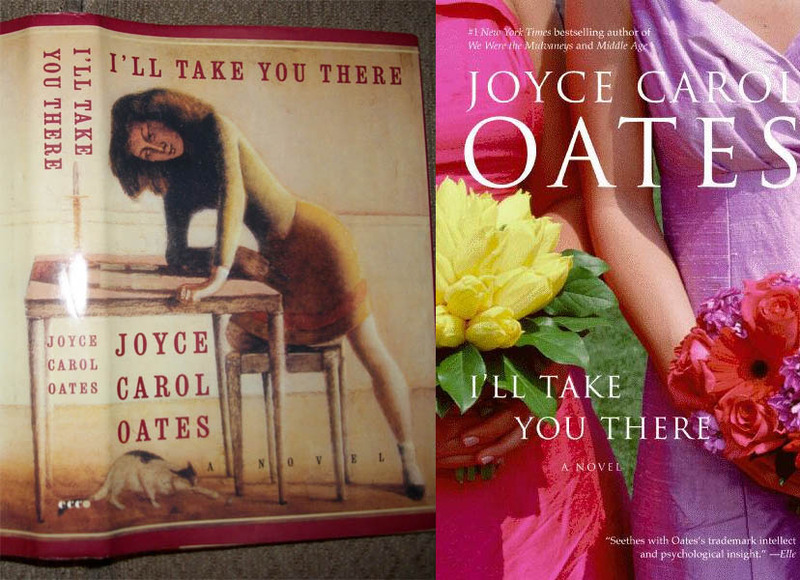 Weiner cited the wildly divergent covers for Joyce Carol Oates’s I’ll Take You There — the Ecco hardcover a striking drawing, the paperback being composed of flowers — as an example of how drastically publishers are willing to alter their covers for women audiences. And she mentioned her own battles with Target, who demanded that the cover for her new book All Fall Down be tinted blue, with the street in Philadelphia considered too gritty for audiences coveting the usual sunny hues. “As publishers, you’re working with the availability of images,” said William Morrow Executive Editor Rachel Kahan. She pinpointed one big reason why some of the women’s fiction covers all look the same: the clip art is usually comprised of skinny white yoga models, not regular people. This may account for some of the whitewashing seen on YA book covers and why every book about Africa tends to look the same. When the images used to sell women’s books don’t resemble what’s contained between the covers, much less a reader’s real world, then it seems only natural to ask why we’re still talking about gender balance. The issue is far more complex. Paul claimed, “We’ve reviewed four of the five.” [UPDATE: See 6/14/14 UPDATE below.] But it’s clear from the evidence that she was either lying through her teeth or is now so hopelessly slipshod at her job that reviews of books that aren’t huge will never run on a timely basis. That would certainly fit the Review‘s abominably dilatory standards for two National Book Award winners: Jesmyn Ward’s Salvage the Bones (published August 30, 2011, reviewed December 30, 2011) and Jaimy Gordon’s Lord of Misrule (published November 25, 2010, reviewed by Maslin and profiled by Chip McGrath, but never reviewed in the NYTBR). I mentioned these two names. Paul brushed it off. #WMG14, #BEA14, one man asks a question: is there a book over 600 pages not about domestic realism? His voice is the loudest in the room. The mystery of plentiful 600 page novels written by women and not rooted in realism — one that I’d actually like to know the answer to, which is why I bothered to ask it — remains unsolved. Chimamanda Ngozi Adichie’s Americanah was offered. (Sorry, it’s 496 pages.) And so was Eleanor Catton’s The Luminaries, which many in the Facebook thread insisted did not count. The reason I asked the question was not to suggest that women couldn’t write ambitious novels, but to get people to consider why women aren’t allowed to. As this Wikipedia list of longest novels points out, only Ayn Rand and Madeleine de Scudéry have been permitted doorstoppers. And I’m hardly the only one ruminating on this. Apropos of http://t.co/EensqDxFCt: if Knausgaard was female, she would be torn apart by society for this writing. What say you @3ammagazine? But the goal is no longer to have challenging discussions, to consider opposing points of view (or even the strange exotic men who enjoy reading both Weiner and Knausgaard), or to ask uncomfortable questions. The goal of organizations like the Women’s Media Group and people like Pamela Paul is to drown out the outside voices because they’re too busy congratulating themselves over opinions and sentiments they’ve already made their minds about and have no intention of changing. But I do want to thank Rachel Kahan, who made an attempt to address my question after the stunned hush, Jennifer Weiner (who has always listened to my loud voice with respect), and Rebecca Mead, who was a good moderator. These three women understood that I was not the enemy. I’m not so sure about the other ones.